What does safety mean to me? Safety to me means complete control over my personal space and unrestricted access to any place I fancy visiting, any time of the day or night, completely uninhibited. Pure and unadulterated freedom from anxiety, fear and worry. Being comfortable in my own skin and not being governed by society’s warped sense of acceptable attire. Safety is not being answerable to the dicta of archaic thinking. Walking tall, aiming for the stars and achieving my goals, deservedly and confidently. Keeping all these thoughts in mind we organized a special meetup for our Social Potpourrians- SP Bloggers Meet with SafetyKart. I am the mother of a two college going kids. I want both my children to be able to walk freely and without fear, reach greater heights and realize their dreams. 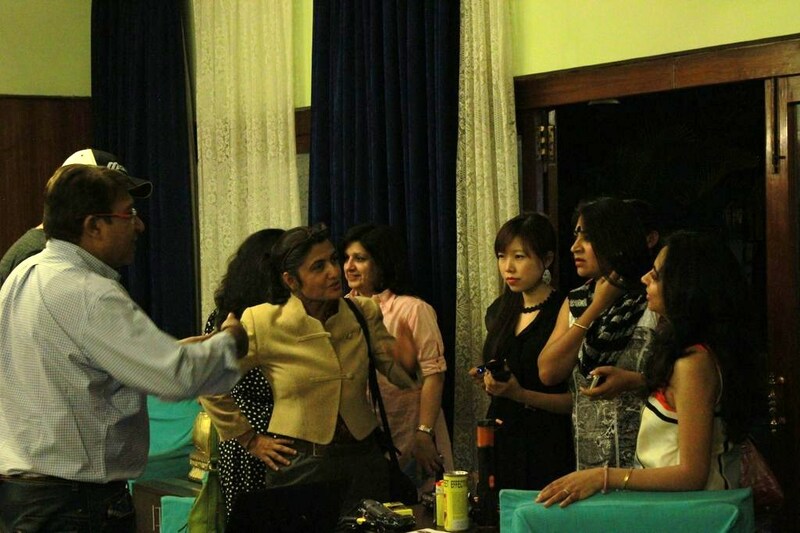 At the Social Potpourri Bloggers Meet with SafetyKart on 9th March 2013 just a day after International Women’s Day, I knew I had to get the Knockout CHAMP pepper Spray for my daughter. This spray can immobilize multiple attackers simultaneously. 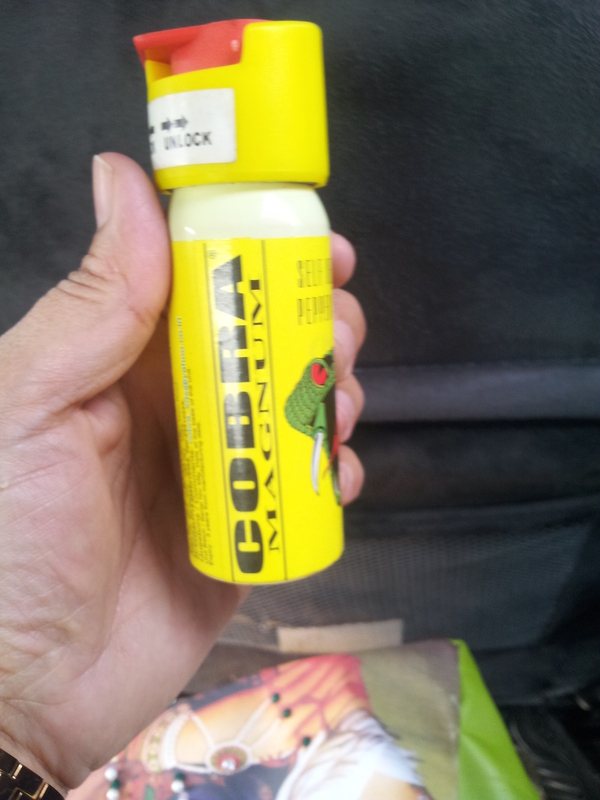 The other safety product, the’ Cobra Magnum’ is also an ideal weapon for protection against attackers. She carries this in her bag, which gives me a sense of relief and assurance that it will keep her safe from harm on the streets. it is an ideal device for self-protection that ensures maximum safety with its effects that can last for about 1-2 hours. It comes with a lock system, is easy to access and carry. 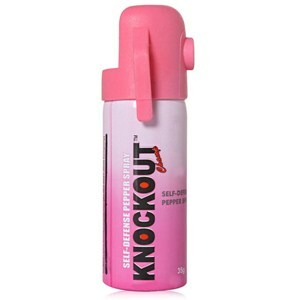 The ‘Knockout Punch Pepper Spray’ with Key Chain is pretty handy too because it is compact enough to be carried in pockets but equally effective. I think not only young girls but senior citizens should also keep this handy. There have been enough thefts and attacks on old people’s homes recently, this could stall the culprits by immobilizing them and may even save lives. www.safetykart.com has an amazing array of products which make life simpler and safer for all, be it at home or at the office. When I was a child, hiding under the blanket and reading comics in the feeble light of a steel bodied torch, I would often wish for a magic torch or light which would make reading more comfortable and turning the pages of the comic easier. How I wish theHeadsup Lite had been available then so that I could have had my hands free to munch on goodies while enjoying reading. It has an adjustable cloth strap that fits comfortably and securely on your head. 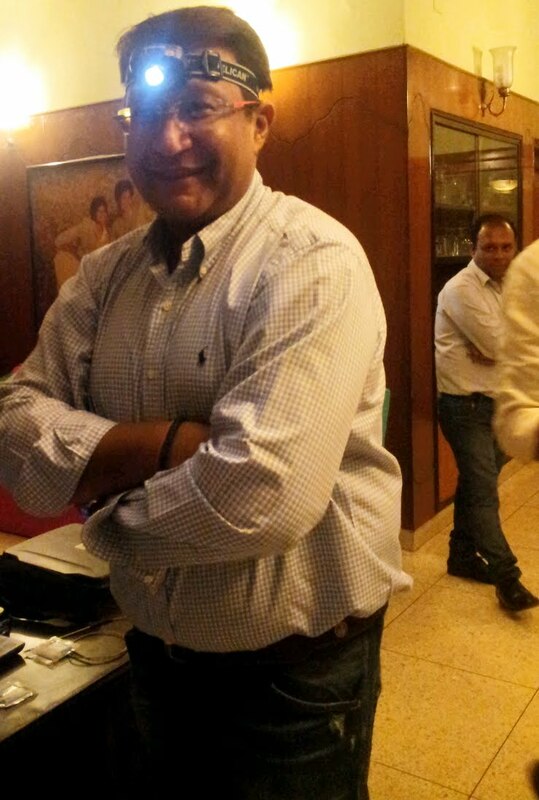 Vikas Bagaraia sportingly demonstarting the HeadsUp Lite's advantages. 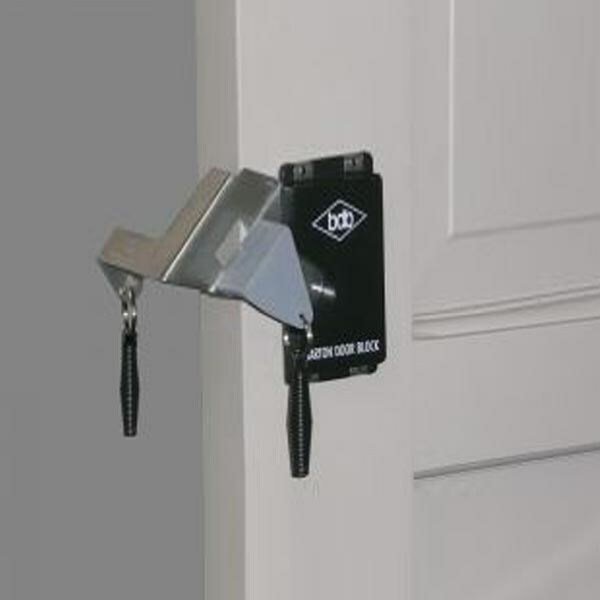 The cries of my nephew still ring in my ears when his fingers had been almost crushed when the door had closed on them accidentally.Barton Door Block is something every school and home with small children should have installed. It prevents the little fingers from being hurt when the door slams on them. It stops the door from closing fully thus protecting the tiny tots hands. 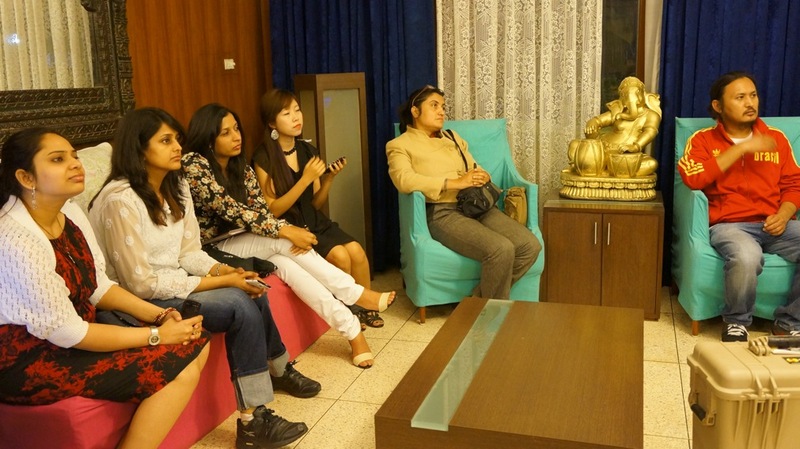 We met and interacted with our blogger friends; Deepti Pant, Manisha Bhatia, Sonia Kapoor, Meghna Agarwal at this meetup and met many new talented bloggers at this meet- Manjulika sehgal, Ekta Khaitan, Rigzin, Rishabh Malik, Awungshi Philamazan, to name a few. By the time I said goodbye to my fellow bloggers and thanked Vikas Bagaria, CEO and founder, safetykart.com and his team for showing us the amazing products and giving us a demonstration, I was making a mental list of products to order from this online portal to keep my family and self safe. It was a pleasant evening, well spent. Betrayed – A short story. Hey Sulekha, excellent write up, thanks a ton! appreciate it. I am very much sure and confident that my new venture will be liked by many since people like you really relate with the products such as The Barton Door Block. This is indeed a must for every home. Vikas, It was our pleasure to see the demo of the safety products and understand what you and your company is doing for the community. The door block should be installed in all play schools and nursery schools because the little children get their fingers hurt in the door so often. Thank you for the presentation and the information. Mitr, I write what I feel strongly about and this meet made me realize the importance of having the safety products at home and in the car. A real eye opener, this meet.